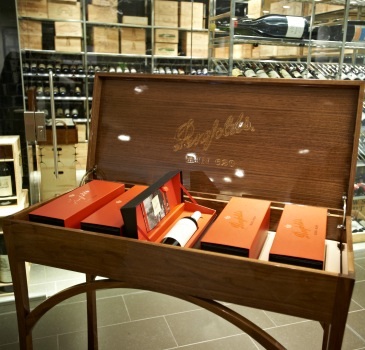 Penfolds has produced a limited edition display cabinet to commemorate the launch of Penfolds special bin wine, Bin 620. The Penfolds Bin 620 display cabinet will be available exclusively in the European market through London retailer Harrods, with an RRP of £22,500, from this month. The bespoke gift has been produced by Australian furniture designer Mortice&Tenon to celebrate the launch of the first Penfolds Bin 620 since 1966. The cabinet also features a Penfolds Bin 620 inscription on the inside. Penfolds only releases extremely limited bottlings of rare Special Bin wines from suitable vintages, making them sought after by wine collectors around the world. In 2008, the Coonawarra region enjoyed a near perfect vintage, according to Penfolds, allowing the winemaking team the opportunity to hand-select parcels of fruit for this wine. Jo Ahearne MW, wine and spirits buyer at Harrods, said: “Harrods is excited to be part of this historic launch.